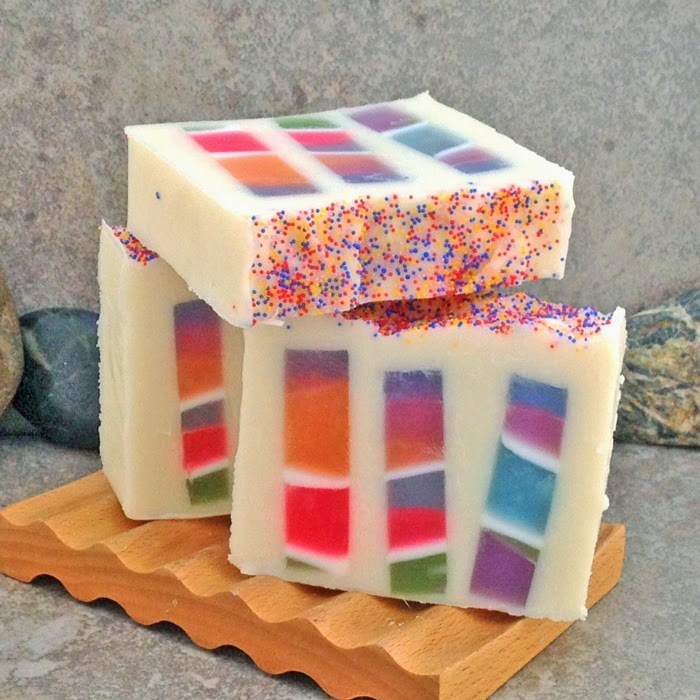 I was itching to try something new and challenging in the world of soapmaking and decided to combine some clear glycerin melt and pour in bright colors and cold process in a way I had not done before. 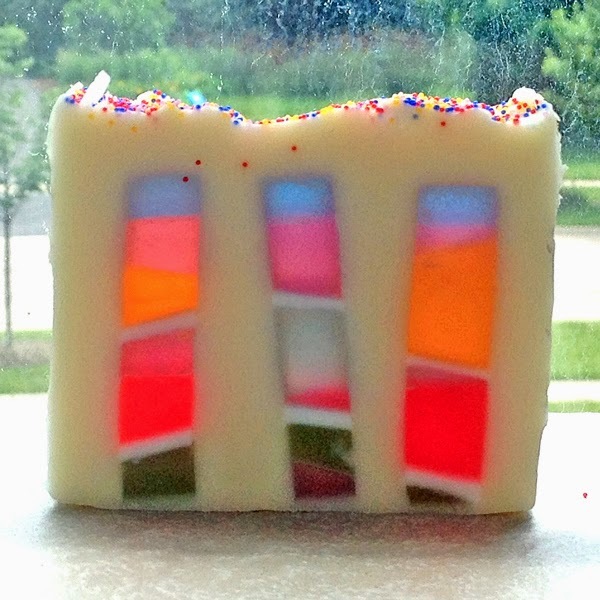 I cal this soap my "Stained Glass Soap" for how the glycerin embeds are translucent enough to give the impression of stained glass windows. 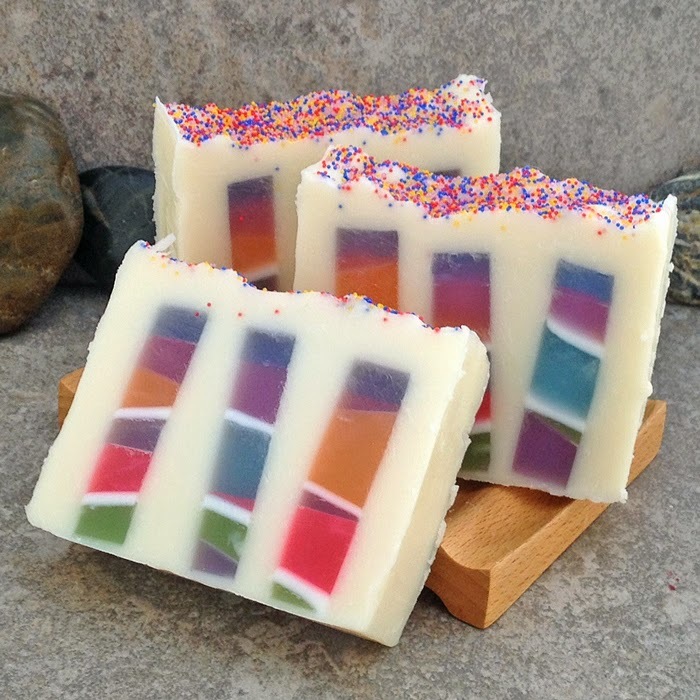 I am so thrilled with how this soap came out. The embeds were created from SFIC clear glycerin soap colored with non-bleeding colorants from Brambleberry and embedded in a basic 4 oil cold process formula. All put together in to a 15" long log mold. Scented with lemongrass & sage fragrance from Elements Bath and Body and finished off with a dusting of multi-colored jojoba beads. You can see how the light shines through in this pic that is sitting on the window ledge.